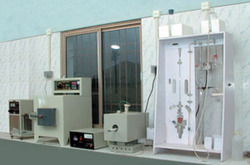 In order to provide quality products, Avon Refractories deliver to their market, materials of the highest quality consistent with a resources of the research and development facilities based in Wankaner, Gujarat (India). The primary objective of the Avon is to research, develop and manufacture highest quality of Refractory products, which deliver measurable and tangible results to the customers. Avon Refractories operate a policy of continuous product development with from time to time results in the introduction of new products, some of which are included in this catalogue. Technical support to the Avon range of products is provided by the intensive research and development faculties of Avon Refractories, and by the technical Sales Division. Selection of material for the often complex lining requirements for steel ladle applications are generally made after discussion with the customer, to provide the best possible lining balance that offers optimum performance in terms of cost and operation. A fire brick, firebrick, or refractory brick is a block of refractory ceramic material used in lining furnaces and kilns. A refractory brick is built primarily to withstand temperature, but should also usually have a low thermal conductivity to save energy. Usually dense firebricks are used in applications with extreme mechanical, chemical, or thermal stresses, such as the inside of a wood-fired kiln or a furnace, which is subject to abrasion from wood, fluxing from ash or slag, and high temperatures. In other, less harsh situations, such as a natural gas fired kiln, more porous bricks are a better choice. They are weaker, but they are much lighter, easier to form, and insulate far better than dense bricks. In any case, firebricks should not spall under rapid temperature change, and their strength should hold up well during rapid temperature changes. To achieve high quality & High Productivity, we are using Fleet of heavy duty press for higher dense material & High temperature tunnel kiln for controlled and uniform firing.